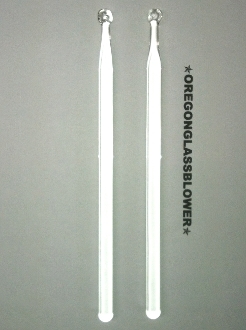 2 x Glass Scoop Dabbers 7mm Diameter. Scoop on one end and round on the other. 6" Length. i make these here in Oregon. Annealed for strength.